The following syllabus page is a three column layout with a header that contains a quicklinks jump menu and the search CSUN function. Page sections are identified with headers. The footer contains update, contact and emergency information. Welcome to Dr. Gina Masequesmay's Home Page! No classes. On sabbatical leave. Welcome! This is my tenth semester as Chair of the Asian American Studies department. I am currently on sabbatical and have been since Fall 2016. I will be back mid-August 2017. If you need to contact the department, please email the Interim Chair, Dr. Eunai Shrake, at eunai.shrake@csun.edu or the Administrative Coordinator, Janaki Bowerman, at janaki.bowerman@csun.edu. The purpose of this website is two-fold: (1) For students to find out more about me and my classes, and (2) For me to efficiently update students about class assignments, advertise of new classes I want/plan to teach, and to list projects, events, issues and resources that interest me. For 2013, I contributed to a piece authored by Sandra Stanley (Tracy Buenavista and Laura Uba are also contributors) called "Enabling Conversations: Critical Pedagogy and the Intersections of Race and Disability Studies." Amerasia Journal 39(1): 75-82. Consulting with Dr. Ho on his project on factors influencing pilots' acceptance of automation. Survey research on Asian Pacific American (APA) attitudes toward LGBT matters. Please go to www.csun.edu/~gm61310/survey/ to fill out the survey if you are of APA background. Rethinking teaching and preparing first-year students, and experimenting on how to incorporate Buddhist psychology insights into teaching. I co-founded the CSUN Positive Space Program and the CSUN Ally Project, which contributed to the curriculum and information for Ally training workshops. I am happy to say that we now have a paid staff and student volunteers to run our Pride Center to support lgbtiqq students. I finished volunteering for 3 different humanitarian organizations in Vietnam from Spring 2008 to Summer 2008, approximately 5 months. The anthology Embodiments of Asian/American Sexualities that Sean Metzger (Duke University) and I co-edited was published by Lexington Books. This work was originally inspired by a conference I co-organized with Dr. Teresa Williams-Leon on November 16, 2002, called "CrossTalk II: Embodiments of API Sexuality." I had helped to co-edit and contribute to the publication of a queer Vietnamese bilingual (Vietnamese and English) homemade magazine called "O-Moi Zine". Its first issue, "Awakening/Tinh Thuc" is about coming out experiences of lesbians, bisexual women and female-to-male transgender of Vietnamese-descent. The zine has poems, short stories, a cartoon, articles, and resources on coming out. The issue came out in February 2005 to celebrate the lunar new year of the rooster! 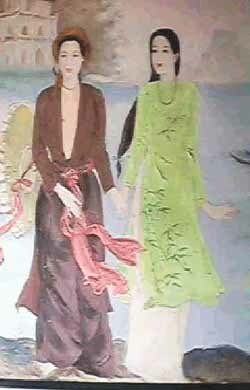 Although it's a while back, it is still significant and the 2nd publication about queer Vietnamese women and transmen. I was born in Sai Gon Hospital in Viet Nam and grew up in a small town northeast of Sai Gon called Bien Hoa. A year after the communist "liberated" South Viet Nam, my immediate family (mom, dad, 3 sisters and 3 brothers, paternal grandma, and 4th aunt) and I migrated to France. We lived in Valence, France over a year and left for the United States in late 1977. I stayed one year in Venice, California and then spent the next chunk of my life in the San Fernando Valley. My family moved around "the Valley" including to Sepulveda, Pacoima, Northridge, and North Hills. I went to Pomona College, Claremont for my undergraduate study where I wrote a senior thesis on Little Saigon. After that, I worked for about a year and a half, at the Asian American Drug Abuse Program, Inc. (AADAP). I then went back to graduate school at UCLA to obtain a doctoral degree in Sociology. My areas of interest are in the intersection of race, class, gender, sexuality and ability. 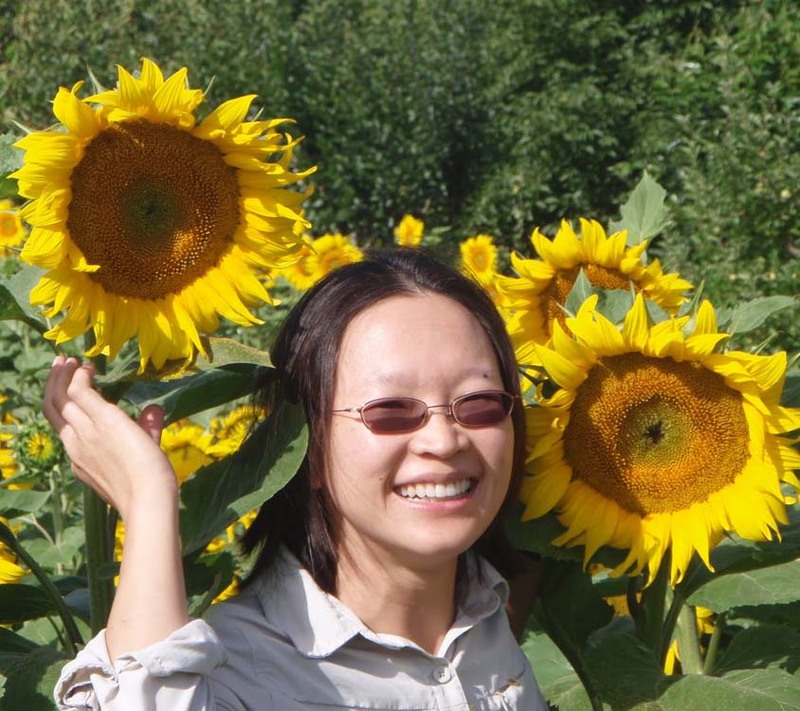 I filed my dissertation, "Becoming Queer and Vietnamese American: Negotiating Multiple Identities in an Ethnic Support Group of Lesbians, Bisexual Women and Female-to-Male Transgenders," in January 2001 and received my Ph.D. in Sociology at UCLA. This is my 17th year at CSUN, where I was hired as a Southeast Asian Specialist but I also do research and teach on gender and sexuality. I am a tenured Full Professor. From Spring 2004 to Fall 2006, I served as the Asian American Studies Academic Advisement Coordinator. I was also on the Queer Studies Minor Advisory Board. I was interim Chair of AAS in 2007 and now return as a Chair for a second term that began in Fall 2012 and will end in Summer 2018.